According to the discipline of fan studies, at this point in history, being a fan is considered a positive for any individual. Being a fan helps people discover their identities, and to determine what they like and do not like. Being a fan helps people find friends, establish communities, and develop a sense of belonging. Being a fan allows people to express themselves creatively, whether through theories, writing, art works, or costumes. Being a fan represents a means for everyday people to establish themselves as active and powerful creators and participants in a capitalistic system that otherwise sees them as nothing more than passive consumers. In other words, being a fan, especially since the advent of the Internet, is considered a positive aspect of life. There are times, however, when being a fan presents a problem: a problem for the fan; for others the fan engages with either inside or outside of any fan community; or for entire fan communities that clash with one another, whether from the same fandom, from different fandoms, or outside the context of any fandom. Sometimes, what one fan considers good another might consider bad. These differences hold the potential to cause problems in how individuals treat one another, and can impact people’s behaviors in such a way that what once seemed brilliant and fun becomes unwelcoming or even threatening. When an individual’s sense of self depends too much on identifying as a fan, or when a fan questions the legitimacy of another group of fans, then fandom becomes problematic. Such instances can lead to what I call fractured fandom. Fractured fandom refers to the tensions within and among fans and fandoms that cause and/or perpetuate gaps or fractures that can cause/perpetuate factions who may be antagonistic and hostile towards one another. Such fractures can be found in media, pop cultural, and sports fandoms, as these represent the primary three types of fandom at this time. From the research I have been conducting, and the stories I have been gathering, there appear to be at least seven primary categories of fan activity where these fractures occur. What follows are my general thoughts on what these categories are, and what could explain their presence. This category considers a fracturing that concerns the fundamental changes to the traditional conceptualization of the fan. Within sports and pop cultural fandoms, the traditional fan has generally been stereotyped as male. During the past decade, however, both fandoms have seen an influx of female fans. This influx has led some male fans to claim that these women are not “true fans,” and that they only engage in the fandom as a way to meet men. 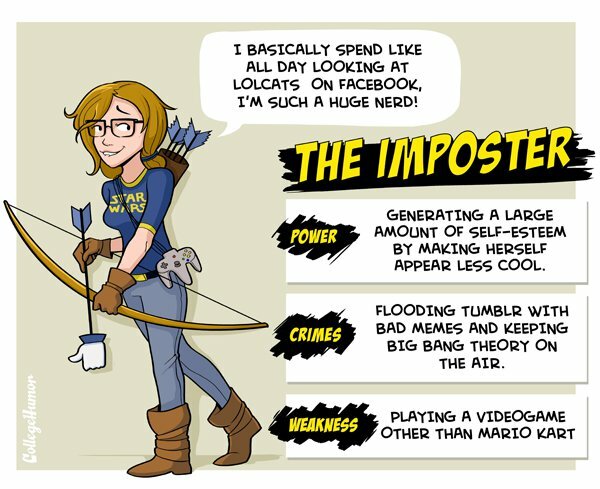 Such female fans have been labeled “fake geek girls,” “fake gamer girls,” or derogatorily as “fangirls.” This derogation relates to the previous derogation of the traditional fan stereotype of the “fanboy,” often meant to imply that fans lack the social skills and emotional maturity necessary to succeed in society. This phenomenon can be seen through scholarly research and illustrated via stories of how many men respond to women in their fandoms. Such stories involve deriding certain fan activities as feminine, the harassment of female cosplayers and gamers, and the dangers of online trolling and doxxing. This phenomenon can be seen in terms of how men react to perceived threats to their dominance and their “safe spaces.” For a decade now, the traditional negative stereotype of the fanboy has been somewhat invalidated, as male fans have gained cultural and social power via entertainment and technology industries; the conception of the fan boy as a social outcast has been increasingly nullified in mainstream culture. In this way, the fanboy began to gain a sense of power denied them due to the emasculating stereotype. The influx of fan girls, however, threatens to return fandom to a destabilized, emasculated position by resurrecting the notion of fans as effeminate. Thus, I contend that such men feel that women threaten their masculinity, and they fear they may lose the power they have developed in this specific subculture should women become more fundamental to the fandom. This category considers a fracturing that occurs when identifying as a fan represents the core of an individual’s identity. Such identification and self-presentation fosters the perception of the “rabid fan” or the “fanatic” that has led to the traditionally negative connotation of the fan. While there is nothing wrong with being a fan, problems can arise when an individual primarily identifies as a particular type of fan, and thus only engages with others who share the same opinions, interpretations, expectations, and behaviors. Furthermore, the Internet could foster such insularity as it promotes and permits the ability to surround oneself with a filter bubble and an echo chamber. This phenomenon can be seen through analysis of the #GamerGate movement and how the movement/conspiracy/debate creates tensions within the gaming community – tensions that had been manifesting as the gaming market changed during the early years of the 21st century. Stories and an analysis of GamerGate discourse examine how gamers position themselves as representing specific identities that range from being concerned about censorship and ethics in video game journalism to reactionary conservatism and anti-feminism. 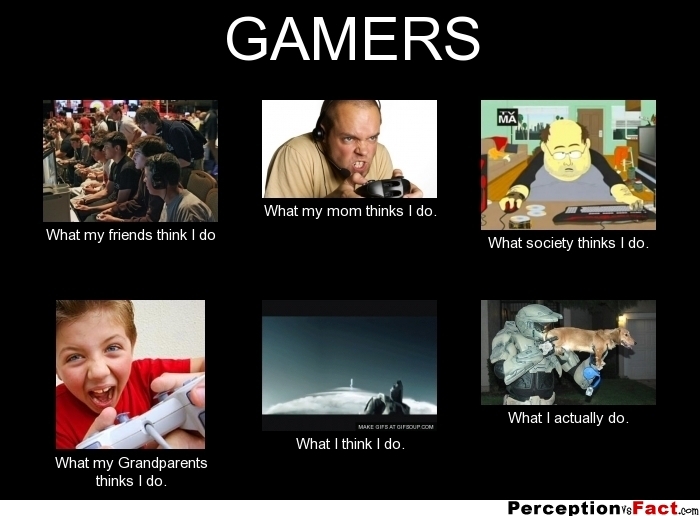 Overall, the GamerGate issue appears to concern establishing the gamer identity and lifestyle in comparison to other identities and lifestyles. I argue that such fans seek to control their image in comparison to how non-fans label them, and that this positioning represents a reaction to the perception that only negative stereotypes of them dominate the mainstream. This category considers a fracturing that appears to arise due to the gender and age of certain fans, which leads to perceptions of inappropriateness. Increasingly, fandoms involve diverse audience members who may cross the gendered or generational boundaries, such as men engaging with media aimed at women as the target audience, or adults engaging with media marketed toward children as the intended audience. Such diverse fans, then, bring in different expectations, interpretations, and behaviors as the means to express their fandom. Such diversity, however, can foster tensions when the differences lead to actions deemed inappropriate by others within the fandom. This phenomenon can be seen through the particular case of bronies as a subset of the overall My Little Pony: Friendship is Magic fandom. Such fans predominantly consist of older men who cross both the gendered and generational boundaries for this cartoon marketed primarily to young girls. While much public and scholarly discourse has lauded these men, there are those who express concern about the appropriateness of the bronies’ behavior, such as their negative reactions to the Equestria Girls feature-length films and their fan activities involving the overt sexualization of the show’s characters, per the Internet standard Rule 34 which states that if something exists, then there is a pornographic version of it online. I argue that this fracture concerns understanding how fans should express their interests in an object of affection at the center of a fandom, especially when that object was not originally meant for them and those interests represent a sexual desire or a proclivity toward provocation. In a sense, this fracture also relates to the traditional stereotype of fans as immature, and relates to the Western critique of adults who engage with media aimed at children, such as comic books, cartoons and action figures. This category considers a fracturing that manifests within pop cultural fandoms as tensions between different fans, but also as tensions between fans and the creators of the object that exists at the center of the fandom. These fractures occur due to specific fan activities that involve fans reinterpreting and appropriating canonical characters in their stories and art works, such that they place the characters in specific romantic relationships not necessarily represented in the official canon. Shippers are fans who support specific relationships over others, while slashers represent a subset of shippers that focus on homosexual relationships among characters portrayed as heterosexual in the canon. Differences in shipping, and reactions to slashing, can lead to tensions within a fandom as fans disagree over and even disrespect or disregard such fan activities. Additionally, such actions can result in tensions in the fandom on a larger scale, as media producers and actors have been known to distance themselves from and even become hostile toward such fans. These phenomena appear to relate to issues of power central to fan studies. Much has been said about shipping and slashing functioning as a struggle for power and participation between the producers and the consumers of the object of affection. I contend this struggle over power also exists within the fandom, as different shippers and slashers seek to position their preferred relationship as the most important in the canon, thereby exerting their interpretation of the canon as the most appropriate. Whoever emerges as appropriate thus gains the cultural and social power in the fandom – and perhaps also economic and political power, as the canon’s producers may attend to those deemed most appropriate. This category considers a fracturing that involves the concepts of anti-fans, snarking, trolling and hate-watching, particularly for how they occur between pop cultural fandoms. Recent years have seen an increasing scholarly interest in these phenomena, as individuals actively belittle fans of a particular fandom due to some perceived deficiency in that fandom’s object of affection. Anti-fans are individuals who actively identify as people who do not like a particular object of affection, thereby positioning themselves as the exact opposites of those who do identify as fans. Snarking involves specific activities intended to deride the fans of that particular object of affection. Trolling involves actively seeking to disrupt individuals or communities. Hate-watching involves actively engaging with a canon for the purposes of derision. All of these activities, then, involve people engaging with a fandom for the sole purpose of spending time with something that they deride, dislike or outright hate. This phenomenon can be seen by looking into examples from research and stories of anti-fans, such as fans snarking on the Twihards, the designation for fans of the Twilight series. While the anti-fans of Twihards and Twilight itself may be the most known, they are not the only instance of snarking between fandoms, as the term has become more common across fan communities. These fractures appear similar to rivalries, which will be discussed in the next chapter, but the phenomenon manifested in pop culture fandoms and specifically via online interactions. I put forth that such activity results from and perpetuates the type of insularity previously discussed as manifesting in online fan communities; the ability to remain anonymous and to connect with like-minded individuals makes the organization against any particular fandom easier and more likely. This category considers a fracturing that also results from clashes between fandoms as fans position themselves as liking objects of affection considered as oppositional to one another. Such fracturing occurs in both sports and pop cultural fandoms. The idea of a rivalry occurs often in sports fandoms, as teams are positioned as having a main competitor in terms of geography, importance, history, and so forth. Such rivalry can be good-natured, but it can also be detrimental, as research into soccer hooliganism indicates. Rivalries also occur within pop cultural fandom, such as between Marvel and DC fans or between Star Wars and Star Trek fans. While hooliganism is not often seen when these fans come together, there can be competition across the fandoms over who has the better canon. Fans sometimes actively attempt to position their fandom as the best, and such arguments can often devolve beyond friendly disagreements. The phenomenon of rivalries, wherever it occurs, indicates a possibility for members of one fandom to actively despise members of the other fandom and even dehumanize its fans, so as to better “win” in any contest or argument. I argue that such activity is worse than that of anti-fans and snarking, because rivals become invested in proving their own fandom as superior; as such investment suggests a strong identification as a particular fan, and engaging with an insular fan community, the possibility for perspective-taking and understanding the fans of the “other” side is reduced. This category considers a fracturing that can exist on a global scale, as fans of an object of affection that originates outside their own culture begin to appropriate aspects of that culture. When a fandom has a global reach and originates from a specific cultural context, there will be fans of that object of affection who share the same cultural background as the originators of the object, and those who do not. At these times, fan interpretations of the object and their appropriations of the culture from which it originates may clash with those of other fans, particularly those who hail from that culture. Moreover, it may result that fans who consider such activities a form of cultural appreciation could become subject to charges of cultural appropriation or even outright racism. This phenomenon can be observed in how media producers utilize their own fandoms to produce content, such as Katy Perry, Gwen Stefani and Avril Lavigne. This phenomenon can also manifest in the realm of cosplay and costuming, where blackface or other racial and ethnic features can occur without any apparent understanding of the inappropriateness of such activities, such as in the case of Julianne Hough portraying the character Crazy Eyes from Orange Is the New Black (both women are pictured side-by-side above). Global anime and manga fandoms are of particular interest, however, primarily because American otaku are more likely to identify as such, while Japanese fans are less likely to adopt the otaku label due to its negative connotations. Overall, these stories and research studies seem to suggest tensions due to differences in cultural heritage, understanding, and activities that fans would argue are meant to demonstrate their affection. I contend that a lack of self-reflection regarding issues of appropriation, privilege and empathy could result in well-intentioned appreciation being perceived as racial and cultural insensitivity. All the fractures discussed here could potentially represent attempts by individuals and communities to determine the legitimacy of their selves, their community and their fandom through boundary policing. Overall, then, the social identity of a fan represents the cause of these fractures. Identifying as a fan often means linking one’s identity to a particular community, either through direct action or association. Communities are not static entities, however, but dynamic organisms that act based on communal movements dictated by individuals. Such communal movement could include the policing of the community’s boundaries, whereby the community of individuals controls the membership requirements for the community. By policing the boundaries, communal movement likewise dictates what constitutes the legitimate and illegitimate aspects of the social identity; i.e. what aspects of being a fan are considered appropriate to be a part of the community. That is, fans attempt to control what constitutes appropriate behavior for a fan within a fandom as a way to determine and secure the legitimacy of the fan community, of the fandom, and of being a fan in modern culture/society. If enough individuals in the community oppose such communal movements, the community can fracture, developing into a new community with different policing, different definitions of legitimacy, and different allowances for how to be a fan. Thus, policing of the boundaries can be seen as attempts to position and co-construct what constitutes the right way of being within a community, within a fandom, within a society/culture. The need to position, to legitimize, could result from insecurities/anxieties – actual and perceived – psychological, sociological, cultural – in the face of changing times and norms. Thus, a fandom represents an ideology, or a way of organizing how individuals think about reality. Fandom helps people make sense of reality and can shape an individual’s perceptions of it. 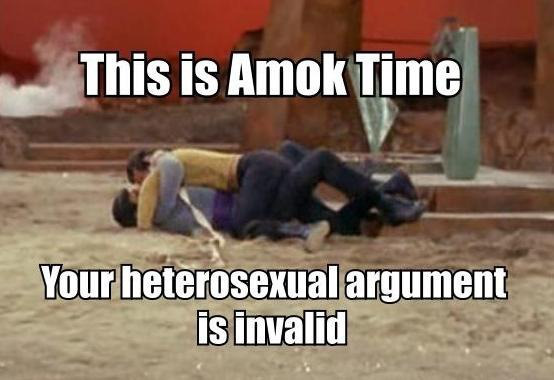 In this way, clashes between fandoms essentially represent a clashing between views of reality (i.e. what is right vs. wrong). In particular, within fandoms, fan communities may develop cultural norms and rituals that serve as the foundation for the interactions of any particular fan community. It could be that the clashes, tensions, and problems result from these cultural perceptions of what constitutes appropriate fan activities for the fandom. While this dark side of fractures exists both within and between fandoms, it is nevertheless a dark side that exists throughout the human experience. In order for these issues to no longer lead to such fractures, individuals and communities must actively attempt to bridge the gaps within and between fandoms caused by differences in opinion. That is, more works needs to be done to encourage self-reflection and self-awareness about one’s activities so as to promote the type of perspective-taking and empathy necessary for a reduction in insularity and a propensity to self-identify only as a fan within a particular fandom. Thus, more and better communication with different types of fans becomes necessary to heal and seal the fractures discussed in this monograph. Good can come from these fractures, debates and dissension, but only as long as people engage in discourse with an awareness of the darkness that could result. I would love to hear your thoughts on this categorization: do you agree? did I mischaracterize any? did I miss any? And if you have any stories to share, please do so here or on Facebook or Twitter with #fracturedfandom.